AMC’s new series, The Walking Dead, has become the most successful series debut in the network’s short history of producing original programming. Mad Men and Breaking Bad might be winning awards left and right, as well as captivating the hearts and minds of critics, but they’re nothing when compared to a brain-hungry undead monster. The Walking Dead scored 8.1 million viewers on Saturday night, scoring the best ratings ever for an AMC original series. 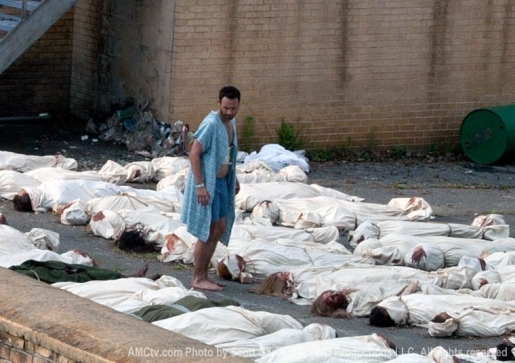 Really, though, The Walking Dead was a perfect storm for AMC. I mean, you had a perfect Halloween debut time slot, a Sunday night when television viewing is generally high, an incredible buzz about the series on the Internet, and a generally renewed interest in zombies and the walking dead. Things could not have gone better for AMC or the series, which explains why so many millions of people stayed home to watch it. The fact that the show was the best episode of television I’ve seen all year probably helped.